Have you dug yourself out of the blizzard yet? Good! Now get on down to Denver and explore! 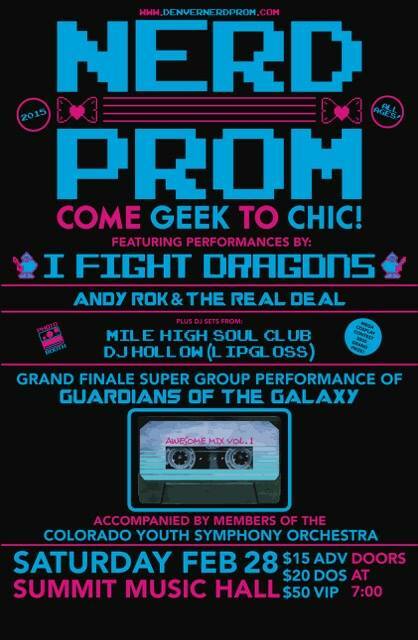 From Nerd Prom to comedy and cannabis, here are a few events you don’t want to miss out on. 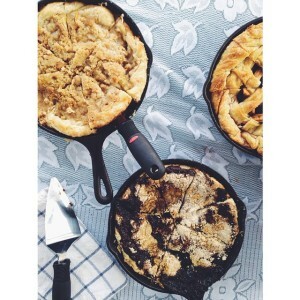 Four slices of pie and four ciders, all for 20 dollars. Get. On. IT. 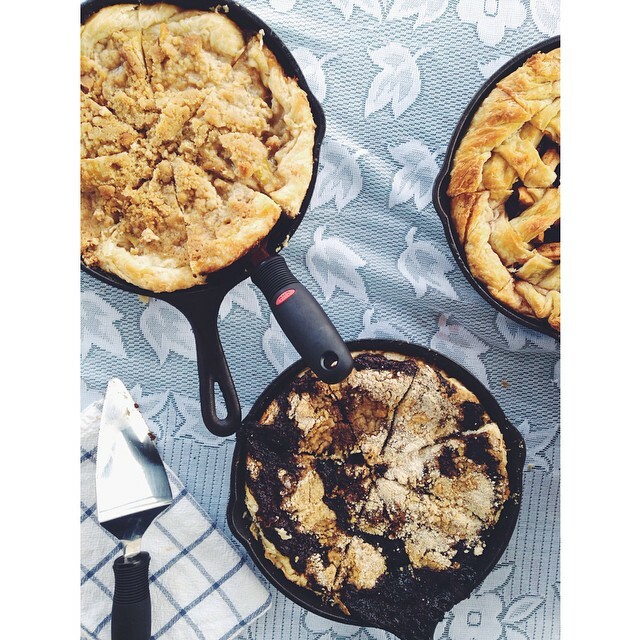 Stem Ciders and The Long I Pie Shop is coming together for Pie Tasting Tuesday, starting at 6pm. Try not to inhale all the goodness at once. Fashion Denver and Warm Cookies of the Revolution are teaming up to bring you the Eco-Disaster Fashion Show! This thought-provoking fashion show will take you on a creative, imaginative, and necessary ride, showing how designers envision the future of our earth and how we’ll dress to survive. In addition, there will be an “Eco Fashion Mingler” to meet the designers and different environmental groups to discuss issues impacting our world. 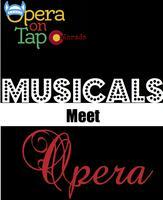 The event begins at 6pm this Wednesday and is free and open to the public. This Wednesday join Oskar Blues Grill & Brew in Lyons CO, for The BolderBOULDER Battle of the Bands! Take in a brew, listen to the bands and vote for your favorite! The winner will move on to the Oskar Blues main stage at the BolderBOULDER on Monday, May 25th and will receive a cash prize. Do you know a band who could rock this competition? Read up on the rules and send an email to race@bolderboulder.com by 5pm this Monday! Come to City Hall this Friday for CannaBash 2015, for a night of comedy, cocktails and of course cannabis. Headliners include T.J. Miller from the HBO nominated show, “Silicon Valley” and Adam Cayton-Holland who was named one of Esquire’s “25 Comics to Watch.” On top of that enjoy a pre show cannabis industry mixer, drinking games and a free taco bar. Buy tickets here before they sell out! Girl Scout Cookies + Cheesecake= My personal heaven. Grimaldi’s Coal Brick-Oven Pizzeria is offering two specialty cheesecakes to benefit Girl Scouts of Colorado including Chocolate Mint Cheesecake with Thin Mints and caramel and coconut Samoa Cheesecake. This speciality ends this Friday, February 28th, so get while the gettin is good. And of course who could forget about Denver Restaurant Week? Explore Denver’s restaurant scene as they offer three course meals for only 30 dollars per person. Reservations can be made by phone or visit Denver.org for links to participating restaurants. 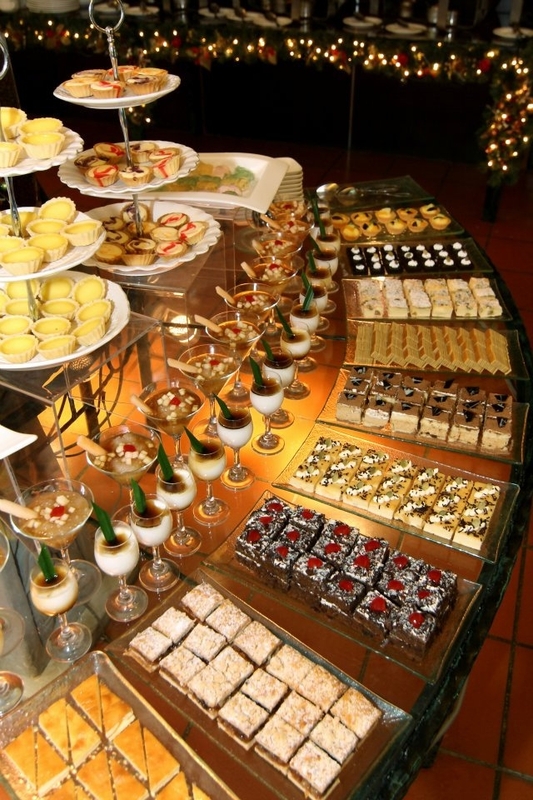 In addition click here to find restaurants that offering complimentary drinks with your meal. DRW ends March 1st, so make your reservations today! Where will you be going for restaurant week? Any events that I missed? Follow me on Twitter at @MReneeCarter and let me know! Snow is on its way to kill our spring buzz, but don’t let that get you down! Bundle up and try something new this weekend! Cost: 15, price bump at the door. 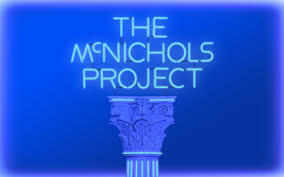 Expect the unexpected at The McNichols Project. Step into a night filled with photography, music, art and a few unexpected surprises. Buy your tickets fast, this event will sell out! “Would it be awful if I wrote a swearword? Right…Ok..I’m going to do it! DAMN! I did it! I’ll regret that later.” Ah to be young. Reminisce about those teenage years straight from the journal this evening at The Deer Pile. Bring a few bucks for drinks and get ready to listen to stories about history tests, prom and of course love (and or hormonal obssessions). 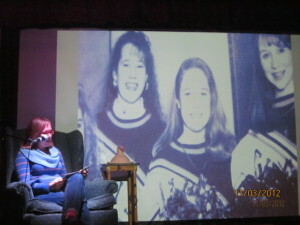 Want to share your teenage self? Then send an email to: reader@myteenageangst.com to sign up and be prepared to share the most fantastic awkward years of your life. Cost: No cover 9-10pm. Presale, 5 dollars (includes price of skates). 10 dollars at the door for skates and entry. 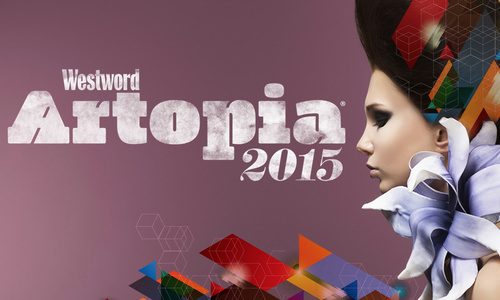 Experience the best in art, culture and fashion this Saturday night at the Westword Artopia. This annual event features more than a dozen local artists, music from up and coming bands and an Alice and Wonderland themed fashion show. Grab a cocktail, take in some culture and explore something new at one of the biggest parties of the year. Follow me on twitter @MReneeCarter to find out about more happenings around the city! Stay warm and happy weekend! This weekend is full of amazing events for Valentine’s Day (for singles and couples!) 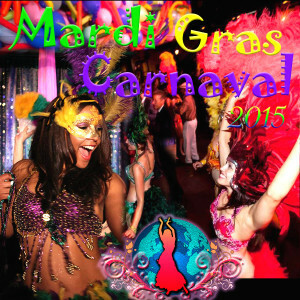 as well as fun kick off parties for Mardi Gras. But guess what, there’s more! Here are a few things this weekend that you would be a fool to miss. Denver welcomes two new breweries this weekend, Ratio BeerWorks opening in the RiNo district and Declaration Brewing opens right off of the Evans Light Rail station. Each venue is hosting it’s grand opening party this Saturday at noon, so you might as well swing by both and show em some love! VooDoo Doughnuts? Paired with beer? I’m salivating already. 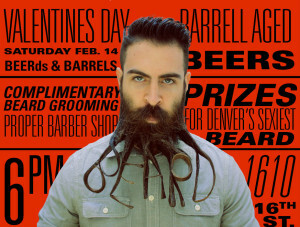 World of Beer at Cherry Creek is matching up with Rogue Ales and VooDoo Doughnuts for a very special VooDoo Valentine. Buy a Rogue Voodoo doughnut series beer and get two matching VooDoo Doughnuts. Event starts at 1pm, so get there early before deliciousness runs out. Men, are you looking to show off your fuzzy neck collar to the masses? Ladies, does the sight of a mustachioed gentleman make your heart (and your loins) go aflutter? Then come to Lucky Pie this Saturday for their first annual BEERds and Barrels party! Proper Barbershop will be on site providing complimentary beard grooming and will judge who has the sexiest beard! In addition, Lucky Pie’s will be tapping a multitude of delicious and hard to find beers. 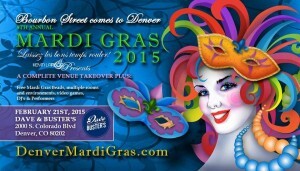 Follow me on twitter @mreneecarter for more happenings around Denver. Enjoy yourself this weekend! 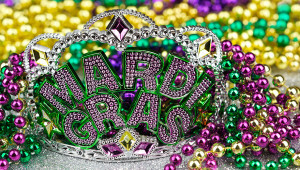 Mardi Gras is French for “Fat Tuesday,” referring to the last night of eating rich, fatty foods before Lent. But let’s face it, we’re going up on a Tuesday. Get a mask, grab some beads and venture out this Mardi Gras! Get your crawl on this Saturday with the Mardi Gras Crawl. Venture out to seven bars (yes, seven. With a possibility of more to be added) and be prepared for a night of games, music and of course beads. Find more info here. 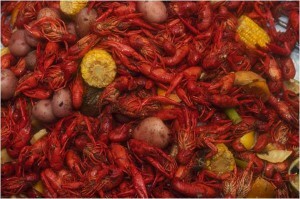 Want to join in on 1000 LBS of crawfish with all the fixins? Is that even a real question? Come to Stoney’s this Mardi Gras for a delicious crawfish broil and amazing drink specials including three for one Hurricanes and Abita Ambers. Party on the New Orleans way. Get a taste of the Big Easy this weekend with Keystone’s annual gumbo cook off. Enjoy live music from Funky Johnson as you enjoy unlimited gumbo tastings and vote for the best. 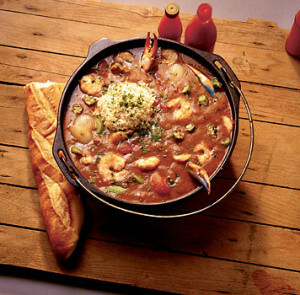 Because after all, it wouldn’t be Mardi Gras without gumbo. 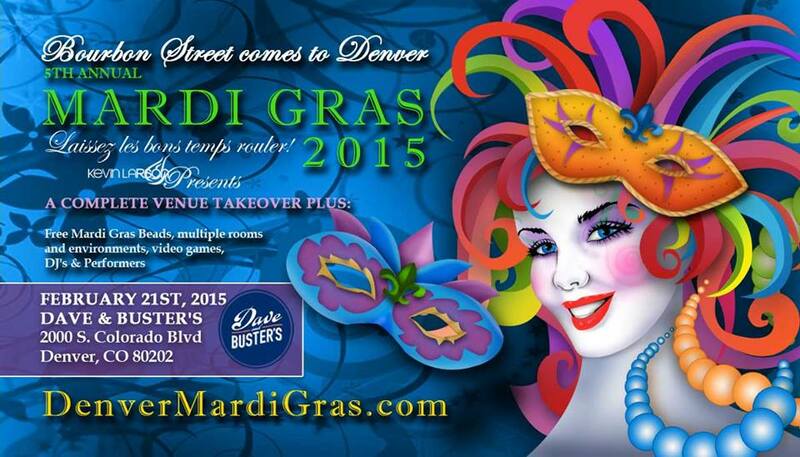 Party with Bella Diva Dance as they bring Carnivale and Mardi Gras to Denver! Learn traditional New Orleans line dances, enjoy beautiful Capoeira performances and dress your best and compete in their ultimate costume contest. Get ready for a feathers and fun! Find out more here. 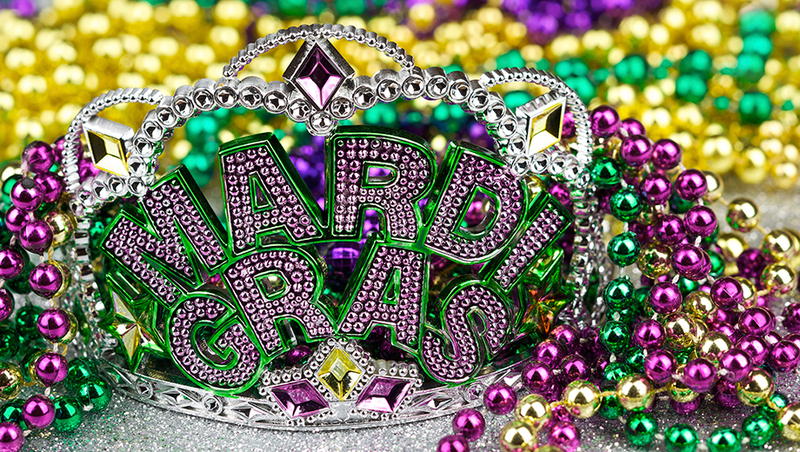 Find a mask, wear your brightest green, gold and purple and get ready for beads! The 5th Annual Mardi Gras party comes equipped with games, stilt walkers, face painters and two dance floors playing everything from 80’s jams to top hits. Find out more here. Follow me @MReneeCarter to learn more about happenings around Denver! This Saturday, fuel up on liquid courage, strip down, and run around Denver in your underwear, for the children. Cupid’s Undie Run is a mile(ish) run, combined with an awesome party all in the name of charity. Proceeds benefit the Children’s Tumor Foundation and so far Denver has raised over 90,000 (Go Denver!). Did I mention it is going to be 70 degrees this weekend? Perfect pants off weather. 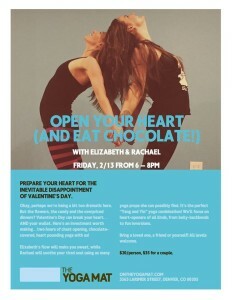 Where can you find sweat, love and chocolate all in one place? Well, besides an R. Kelly song? The Yoga Mat of course! Join The Yoga Mat for a two hour session of heart opening flow, fun inversions and Valentine’s Day puns. Do you get a chocolate for every downward dog? We can only hope. Find out more here. 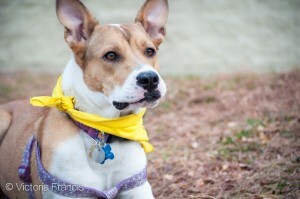 This Valentine’s Day, meet the love of your life in a four-legged friend. Head down to Joy Ride Brewing Company to grab a beer and meet some adorable and adoptable animals. Grab a drink and share the love. 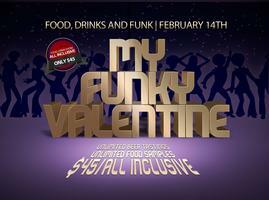 Get ready for a night of food, fun and of course, funk. Enjoy unlimited small dishes such as slow cooked cuisine from Crock Spot and homemade cupcakes thanks to Milk and Cake. Guests can also enjoy unlimited beverage samples including beer, wine and spirits. Afterwards, enjoy some soul music, provided by Eddie Roberts West Coast Sounds and take a shot at the Dating Game. We have flights of wine. We have flights of beer. And now, we have flights of ice cream. There is a God. 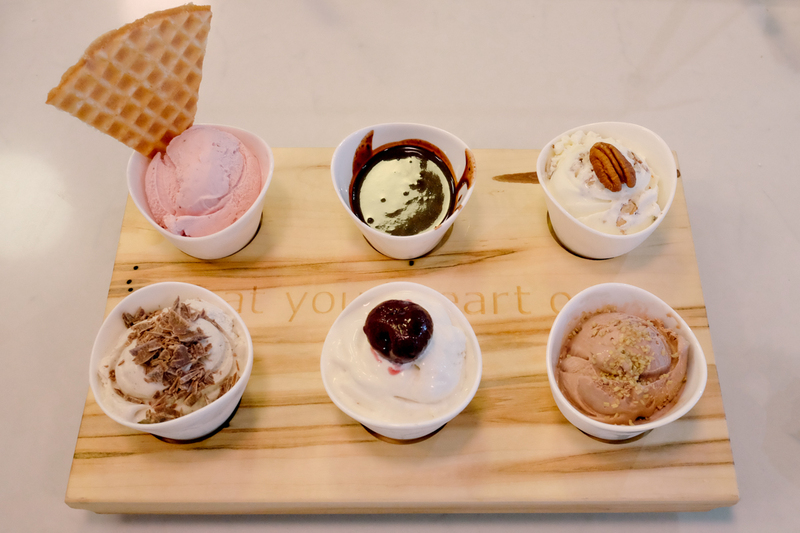 At High Point Creamery, choose from a variety interesting flavors including salty dog chocolate, basil and blackberry swirl, and dark chocolate orange with marshmallows. Find a date or find a friend and eat your heart out. Cost: GA Single Ticket: 70, Couple 100. VIP Single ticket: 100, Couple 170. 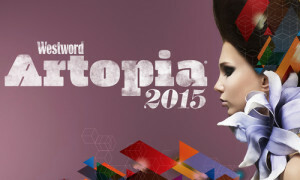 Your decadent adventure awaits you at the Colorado Indulgence Festival. Enjoy samples from Colorado’s best culinary experts from creamy gelato, delicious pastries, rich chocolate martinis and of course complimentary wine, liquor and microbrews. Enjoy exclusive seminars from making your own truffles, to discovering global cheese, to swapping beauty tips from the Sephora table. Treat yourself to an afternoon of indulgence and pampering this Valentine’s Day. This is a 21+ event, cocktail attire is recommended. Follow me@MReneeCarter Twitter to find out more happenings around Denver! Have some fun, eat some food and have a Happy Valentine’s Day!